How Do I Refer Myself or Someone Else to STARTTS? Anyone can make a referral to STARTTS, including service providers, medical professionals, a family member or friend of the person or the person themselves. Who are STARTTS’ Services For? They must be living in NSW. The person can be any age and can have been living in Australia for any length of time, from a few days to many decades. Trauma, or traumatic experiences, cause great stress, pain and/or fear for a person. Traumatic events can disrupt or disturb a person’s health and everyday living. STARTTS is particularly concerned with trauma that happens as part of organised violence, such as in war, civil conflict and government oppression. Who Can Make a Referral to STARTTS? Anyone can make a referral to STARTTS including the person themselves, a family member or friend or another service provider. Service providers must have the consent of their client before making a referral to STARTTS. If you are referring a child (up to and including 16 years of age) you must also complete the Parental Consent form. For a more detailed presentation about making a referral please click here. Please note that STARTTS is happy to deliver this material through face-to-face training for organisations. Please contact the Training Officer on (02) 9794 1900 to arrange this. What do STARTTS’ Services Cost? STARTTS services are free of charge. Who is NOT Suitable for STARTTS’ Services? Please call the free telephone interpreter service (TIS) on 13 14 50 if you need help with English/interpreting. STARTTS does not provide services for people whose MAIN problem is drug and alcohol or domestic violence related. We will direct clients with these issues to other appropriate services. We will work with other services to provide joint services for refugees and asylum seekers with drug and alcohol or domestic violence issues. Where Does STARTTS Provide its Services? STARTTS provides services in its main offices in Carramar, Fairfield, Auburn, Liverpool, Blacktown, Coffs Harbour, Newcastle, Wollongong, Wagga Wagga and Armidale. See our Contact page for details of each of these offices. STARTTS also provides outreach services in a range of locations across the Sydney metropolitan area and regional NSW. Please contact the Carramar office for outreach locations. Our child and adolescent counsellors will also see young clients at school. Which STARTTS Services Can I Request/Refer People To? Waiting periods for our services vary, depending on demand. 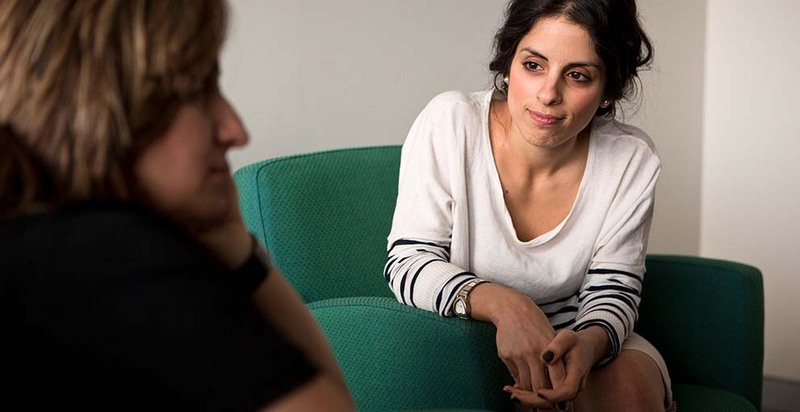 Our counselling services have a managed waiting list, meaning the people in greatest need will be seen first: we use a priority checklist to support this process. Which STARTTS Services Can’t I Request/Refer People To? What Information Should I Have to Make a Referral/Request a Service? The more of the following information you provide, the easier it is to request a service/make a referral. any other organisations you/the person is involved with. Remember to complete the Parental Consent form if you are referring a child (up to and including 16 years of age). What if I/the Person I’m Referring Can’t Speak English? Together, STARTTS’ staff speak more than 20 languages. When a counsellor can’t speak the language of a client, we will organise a qualified interpreter. Where Else Can I Go/Send Someone for Help? Provides food, shelter and health care to eligible asylum seekers. The Red Cross also provides an international tracing service to help families separated because of war or other disasters and a tracing and messaging service to detainees in government immigration detention facilities. Services include emergency accommodation, primary health care and physiotherapy, English classes, art classes, regular excursions, internet access and many other practical supports. Services are for asylum seekers living in NSW only. Available 24 hours a day, 7 days a week for anyone who is concerned about a child’s safety. Provides immediate advice and information as well as referrals to crisis accommodation to people in NSW. Open 9 am to 10 pm, 7 days per week. Provides assistance to people on Temporary Protection Visas and Bridging Visa E including emergency accommodation, English classes, computer classes, employment assistance, medical support, legal support and other services. Free legal advice and representation for people on limited incomes.